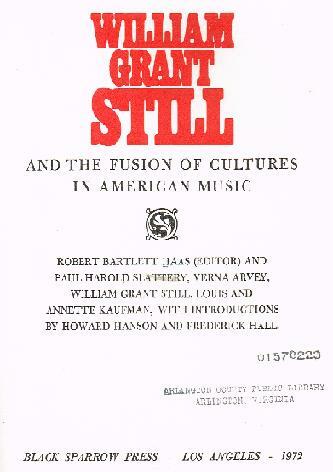 “William Grant Still was an African-American classical composer who wrote more than 150 compositions. He was the first African-American to conduct a major American symphony orchestra, the first to have a symphony (his first symphony) performed by a leading orchestra, the first to have an opera performed by a major opera company, and the first to have an opera performed on national television. He is often referred to as 'the Dean’ of African-American composers. In 1955 he conducted the New Orleans Philharmonic Orchestra and became the first African American to conduct a major orchestra in the Deep South. Still's works were performed internationally by the Berlin Philharmonic Orchestra, the London Symphony Orchestra, the Tokyo Philharmonic Orchestra, and the BBC Orchestra. "Decorative printed boards with linen spine and yellow printed label. This volume provides in-depth insights into the life of one of America's most important African-American composers. 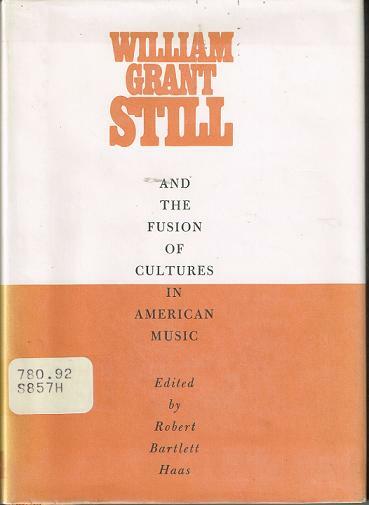 Includes studies on Still's Symphonic, Vocal and Violin Works; the first collection of Still's lectures and theoretical writings; a complete catalogue, to date, of Still's works; discography; bibliography; ten model programs with descriptive notes."